June | 2013 | Relaxed. Transitioning. Natural. Beautiful. I received NOURISH+ DANDRUFF CONTROL Shampoo and Conditioner for free from Smiley360 in exchange for an honest and unbiased review. Aveeno’s new hair care collection, NOURISH+, features a product line that focuses on five target areas: (1) NOURISH+ MOISTURE, (2) NOURISH+ SHINE, (3) NOURISH+ STRENGTHEN, (4) NOURISH+ VOLUMIZE, and (5) NOURISH+ DANDRUFF CONTROL. Although I don’t have problems with dandruff, I have had severe seborrheic dermatitis. Both conditions are treated in much the same way. However, I suffered for almost three years to no avail until I discovered the wonders of castor oil, which unilaterally reversed most of my scalp condition. Nevertheless, I get an occasional case of the “itches” or fall off the wagon and revert back into extreme product junkyism, which tends to exacerbate the problem. Ahem … don’t judge! 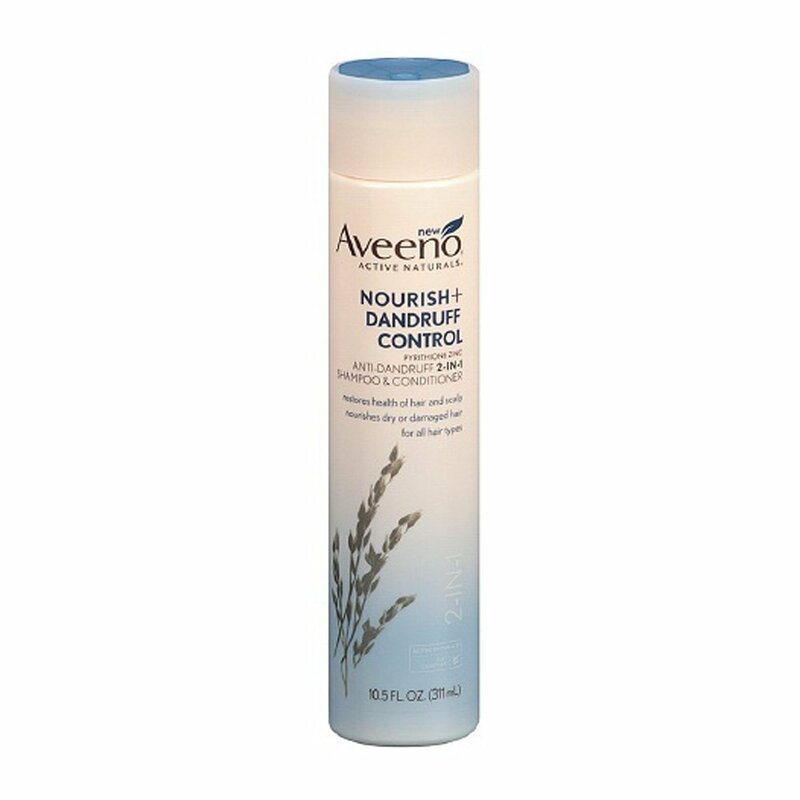 So, I was excited to see what the AVEENO® NOURISH+ DANDRUFF CONTROL line could do. 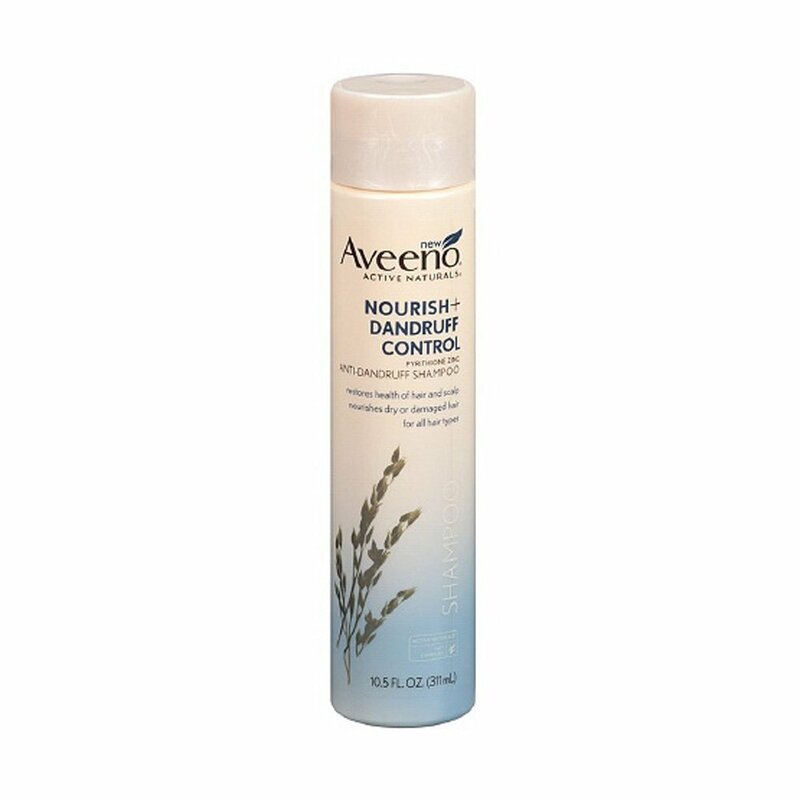 Available in a shampoo, conditioner, or 2-in-1, Aveeno’s dandruff control products have a lot to offer. Ever the skeptic, I’ve never really bought into the concept of most 2-in-1 products. It always seemed like a company trying to make the Grand Canyon disappear without the smoke and mirrors. And, I always worry that expecting one product to both cleanse and condition my hair would be asking for a bit too much. So, I opted to try the shampoo and conditioner. However, all three products combine an anti-dandruff ingredient (pyrithione zinc) with ACTIVE NATURALS® Oat Complex for flake-free hair that is both healthy and beautiful. The scent of the shampoo and conditioner is lovely. It is mildly but pleasantly scented, like a couture eau de parfum without having to shell out the big bucks. Not at all like the obnoxious fruity fumes of some other brands. I won’t name names, but you know what I mean. Seriously, why would I want my hair to smell like peaches and cream or chocolate-covered bananas? What am I, twelve? The consistency of the product, for me, is perfect … not too runny or too thick. The unique combination of oat peptide and oat extract instantly soothed my itchy scalp. I couldn’t believe how quickly it worked. Although the shampoo DOES contain sulfates, which I am not a huge fan of, it did not overly lather my tresses. In fact, it almost acted like my expensive sulfate-free shampoo. Score! I was pleasantly surprised that the shampoo left my hair so baby soft and manageable, and all before I used the conditioner! My scalp, too, felt clean and soothed without being stripped of its much-needed moisture. The first time I used the products, I pre-pooed my hair overnight with castor oil and a few drops of rosemary essential oil. The second time, I used the products without any other accoutrements and decided not to pre-poo at all. Either way, the shampoo and conditioner truly nourished my hair. It was strong enough to rid me of a seborrheic dermatitis flare-up, yet gentle enough to soothe my scalp, and all while infusing moisture into my dry strands at the same time. I also noticed less shedding (a HUGE plus)! As a result, I would definitely recommend this product, especially for those with sensitive, dry, or itchy scalps. So, forget about standing in the hair care aisle, hunched over multiple products, trying to choose between a shampoo and conditioner that can combat dandruff or produce healthy-looking hair. The AVEENO® NOURISH+ DANDRUFF CONTROL hair care collection does both! And, on top of all that, it’s gentle on color-treated hair. What could be better? How about a $3.00 coupon? 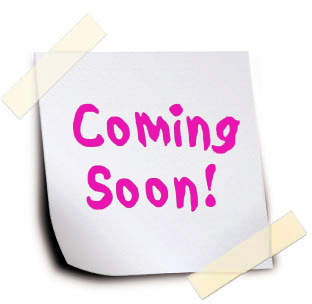 GO HERE for a COUPON: AVEENO® NOURISH+ DANDRUFF CONTROL. 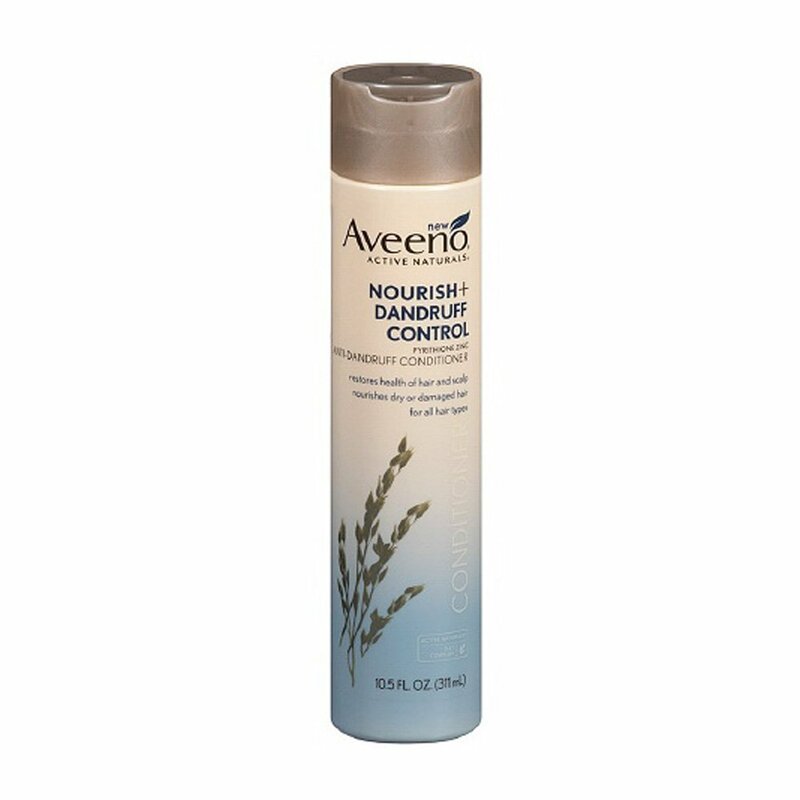 CLICK HERE for COUPON: AVEENO® NOURISH+ DANDRUFF CONTROL. The Pantene® Pro-V Silky Moisture Whip from their Daily Moisture Renewal Collection is ahhhmazing! This two-in-one product is a moisturizer and styler that claims to help hair feel moisturized (up to 48 hours), protect against heat damage (by erasing the damage of up to 100 blow drys), and regulate hair’s moisture (by delivering silky tresses that shine). These are pretty big claims for such an ostensibly simple and unassuming hair line. So, I approached the product with skeptical optimism. Label Instructions: Shake well and dispense into your hand. Beginning at the ends, distribute it to damp hair and comb through. No need to rinse out, just style as usual! I used the Pro-V Silky Moisture Whip on freshly co-washed hair.I gently towel-blotted my hair and applied a light oil. (I used olive oil, but you could also use grape seed oil or any other oil of your choosing.) Then, I distributed a medium-sized “dollop” of the whip into my hair. Because my hair is so short, I only needed two dollops for my whole head, but if your hair is longer you may need more. I’ve never been a big fan of the wash ‘n go look (for myself). I admire it on others, but I hate the way it looks on me. Admittedly, I am probably still not used to having such a short mane, but this product makes me rethink the style. The Moisture Whip has a pleasant, alluring scent. It felt light, creamy, and soft in my hand, not sticky like other mousses. In the past, when I have used similar products, my coils were defined but my tresses felt crunchy and overly dry. Pantene’s Whip had the opposite effect. My hair truly did feel moisturized, soft, and silky. It also didn’t weigh my hair down and completely defined my curly, coily locks and smoothed away all frizzies. This hair whip has given a whole new meaning to the “wash ‘n go.” Even after letting my hair air dry 100%, it still felt soft and pliable. I was pleasantly surprised. 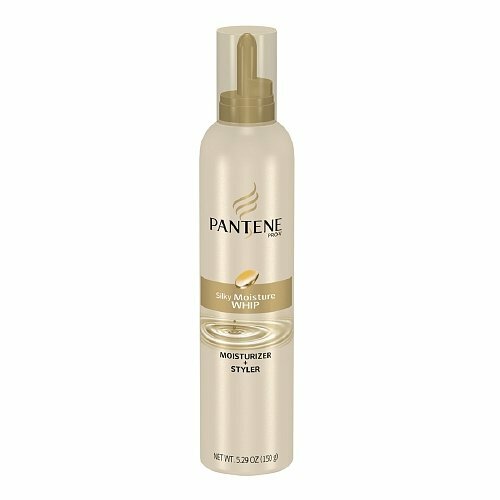 Pantene‘s® Pro-V Silky Moisture Whip is excellent for dry, frizz-prone hair (like mine), especially during the summer (or if you live in a high-humidity climate like I do). The best part? There’s no build-up or unpleasant residue in-between washings. A huge plus for au naturale curlies! And, you can also use it as a heat protectant before you blow dry. So, go ahead and whip it up, Pantene style!